Extending 13 blocks from Esplanade Avenue to Canal St., is the infamous Bourbon Street in the French Quarter. Explore its nocturnal scene with neon lights, jazz clubs, night clubs, and gay-friendly bars within walking distance from our hotel. Indulge in Creole classics at Galatoire's or New Orleans-style BBQ shrimp at the Bourbon House. Enjoy live music at the Jazz Playhouse. Sample an array of tequilas at the Tequila House. Head to Chris Owens Club for a one-woman show and a live revue. Show your moves on Funky Pirate's 24-hour dance floor and check out America's oldest gay bar at Cafe Lafitte in Exile open all hours of the day. Can I park on Bourbon Street? There are a few covered parking lots and open parking lots within the French Quarter. However, parking is expensive and very limited. This is especially true near exceptionally popular areas. For this reason, it's best to leave your vehicle at our hotel, which is conveniently located within steps of Bourbon Street. How long is Bourbon Street? 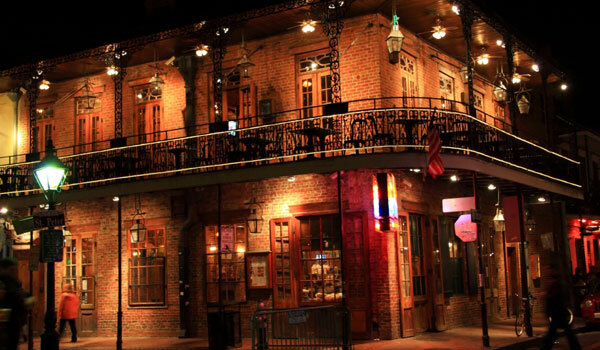 Situated in the heart of New Orleans' oldest neighborhood, Bourbon Street spans 13 blocks between Esplanade Avenue and Canal Street. Although it's open to traffic during the day, the one way street is blocked off for pedestrians during the night so that they can join the party scene of the nocturnal scene. Why Stay at Astor Crowne Plaza - New Orleans French Quarter?